Requirements to become a private investigator can be broken down into four categories, licensing, experience, training and natural abilities. Find out more about what's involved in preparing to pursue this line of work. As with most professions, there is a licensing component to becoming a legal private investigator. Having an investigator's license tells clients that you have taken the necessary steps to be in compliance with the law and that you're not just someone with a knack for snooping around. Criminal Background Check: Part of the licensing process is a criminal background investigation. If you have a felony conviction, you will be disqualified. If you have a misdemeanor, you'll need to refer to your state's licensing requirements to find out if you will be eligible for a license or not. Military Discharge: If you've been dishonorably discharged from the military, then you'll probably be disqualified from licensing. Check with your local and state licensing regulations to be sure if this applies to you. The criteria for each state licensing can vary greatly. For example, one state may require you to attend one of the state-approved training courses or even pre-licensing educational coursework. Some states demand you pass an exam in addition to completing educational requirements while others require a set number of years of related work experience. 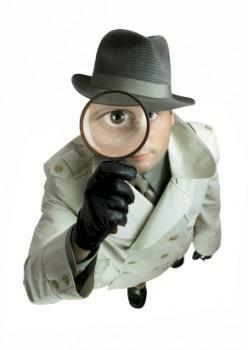 Surprisingly, there are a few states in the America that don't require any licensing of private investigators. However, you still need to check with your local government since many cities do require licensure. Local Licensing: In some states, it isn't enough to obtain a state license. In these cases, you must also be licensed by the city and sometimes even the county to be a private investigator. Liability Insurance: In addition to educational and work experience requirements, most states have a policy that requires private investigators to maintain professional liability insurance that includes "errors and omissions" coverage. This type of coverage provides protection against client claims of errors made by you, your employees and your 1099 subcontractors as well as failure to perform per contract. It also covers legal defense which includes court costs and judgments. Training Options: On-the-job training is always the most valuable form of training you can receive as long as you're working for a top-notch agency that has good business practices and principles. You can find state approved listings on some state websites that will include colleges and professional associations. There are also private companies that offer various programs that you can complete, many of which are online. Experience Requirements: In states where a set amount of experience is required in order to receive your license, you will need to work for an agency that holds an agency license that allows you to work under an internship license. Again, you need to check with your state licensing board about specific state requirements. Once you've worked the required number of hours, you can then apply for your individual license. In many instances, you may discover that your work-related experience transfers to the required experience licensing requirements of some states. This is why you need to check with your state and ask questions to fully understand what does and doesn't count toward experience requirements. Before you sign up for any type of training program, flex your investigative muscle and do your research to judge the quality and value of any educational undertaking. If you opt for private investigative firm training, you want to verify that the company is still in business as a private investigation firm. If it isn't still in the PI business and has turned the side business of training into its mainstay business, find out why. This type of educational company is very common place and can sometimes signify underlying issues you need to investigate. Why is the company no longer active in the industry? It could be something as simple as the owner has retired and has decided to share her experience with others or there could be some other underlying reason that signals a red flag. It's your job as a potential investigator to research your choices and make an informed decision. It isn't enough to get an education and license; you also need to have certain natural abilities and instincts in order to succeed as an investigator. The number one attribute you need is the ability to dig up information. Obviously, if information was easy to obtain, a client wouldn't have any need to hire you. Are you a fact finder? Are you able to discover truths and information that others simply can't find? Are you intrigued by mysteries, secrets and hidden information? Are you intuitive and know how to follow your instincts, even in the face of naysayers? Do you have a need to make all of the puzzle pieces fit together and do you investigate when they don't? Do you trust your judgment over others? Do you have an inexplicable driving need to help others? Do you have a strong natural curiosity? Do you have good communication and writing skills? If you answered yes to these questions, then you possess the basic characteristics necessary to become a private investigator. One attribute you must possess a large helping of is patience. Surveillance is a very key component of your work that will require observing other people. You may end up parked outside a person's home for an entire day or several days. If you want to get the scoop on private investigating and also find out of your state requirements for licensing, then the private investigation industry magazine, Pursuit, is a great resource and offers a state listing. Be sure to check out United States Association of Professional Investigators. PI Magazine provides a listing of private investigator associations by state. Now that you have an idea what the requirements to become a private investigator are, you understand some of the specific areas of training you need from any educational program.